Artificial intelligence is going to transform every aspect of business and society, so how do companies start harnessing the potential of AI now? 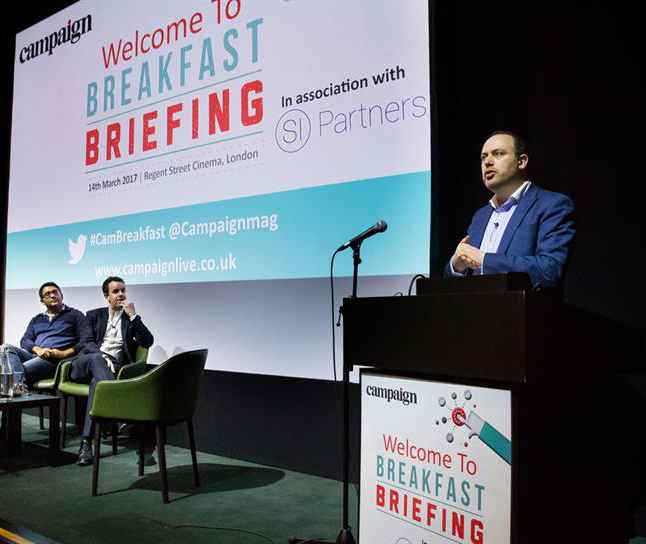 The second Campaign Breakfast Briefing, in partnership with Results International, took place in November 2017. The briefing was a must-attend event for anyone who wanted market intelligence from the people and companies leading the way on AI. We heard from the thought leaders, entrepreneurs, brands and agencies who are already using AI to be more creative and to deliver business results. What will be the big growth areas in AI in the next 12 months? Where is the best talent, and who has the resources? What does AI mean for creativity and the next generation of intelligent marketing services? And what is the outlook for M&A in this rapidly expanding market? Founders and CEOs discussed and reveal how they are using AI to build their businesses. Consulting firms and agencies discussed the creative potential of AI to transform digital communications and business. The challenge for companies seeking to find skilled talent and to "acqui-hire" businesses in this fledgling sector.